British rock band Radiohead and American singer/songwriter Lana del Rey have both hit the headlines this week, the pair embroiled in a sticky copyright dispute. 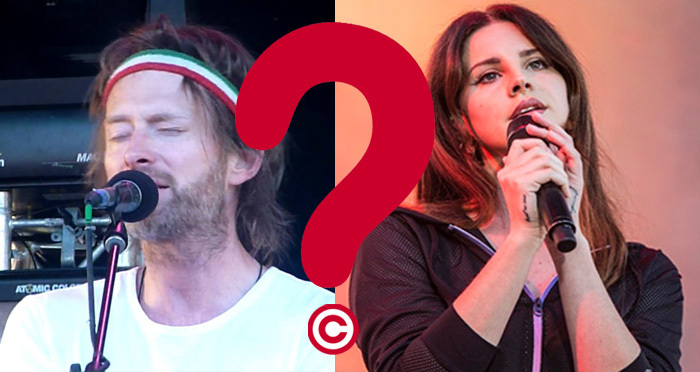 Simon Clark, a partner who specialises in copyright at City law firm Bristows, thinks Lana del Rey may be in trouble here, conceding her song Get Free sounds substantially similar to Radiohead’s 1993 hit Creep. Lana del Rey, real name Elizabeth Grant, confirmed news of the lawsuit on Twitter, stating: “It’s true about the lawsuit. Although I know my song wasn’t inspired by Creep, Radiohead feel it was and want 100% of the publishing — I offered up to 40 over the last few months but they will only accept 100. Their lawyers have been relentless, so we will deal with it in court.” Radiohead have not commented. Many, including singer Boy George, pointed out that Radiohead were accused of lifting the melody and chord progression for Creep from the song The Air That I Breathe, most famously recorded by pop/rock band The Hollies in the 1970s. The writers for both groups now share the rights to Creep — a fact that’s raised eyebrows because sharing the rights to Get Free doesn’t seem to be on Radiohead’s agenda. I love lana but come on, it sounds EXACTLY the same..
To the untrained ear, spotting and analysing the use of copyrighted chord progression is no mean feat — even with the help of comparison videos like that embedded below. If the court does find that copying took place, it must then be satisfied that an important part of Creep has been copied. The law on this is different in the United Kingdom and the United States (the case could be brought in either), but in the former only a “relatively short section of the tune and/or the chord sequence” need have been copied to satisfy the legal test. So while Radiohead may be about to make a buck out of this legal action, do remember The Hollies are credited as Creep co-writers, meaning any compensation made may have to be shared. While this legal action will prove a hindrance for Lana del Rey and her legion of fans, she’s far from the first artist to be embroiled in copying claims. Eminem, for example, brought legal action against a political party in New Zealand claiming it used a song in its campaign so similar to Lose Yourself that it broke the law. The judge agreed, awarding the claimants AUS$535,000 (£312,000) in damages late last year. And who remembers the plagiarism claim made against Taylor Swift in 2015? The judgment, which threw out the case, included lyrics penned by the music star herself, such as: “the court is not saying that [the claimant] can never, ever, ever get his case back in court”, a reference to Swift’s hit We Are Never Ever Getting Back Together. And, maybe there’s more Radiohead copyright drama to come. One social media user used the Lana del Rey dispute to suggest Radiohead are going after the wrong artist, claiming in a viral post that “Midnight Train by Sam Smith literally copied the chords,beat,rhythm and transitions” of Creep. Seems odd that copyright can exist for such a simple, widely use chord sequence when 90% of pop songs use 1 stock chord progression (See ‘Four Chords—Axis of Awesome). These and so many others I think should be considered so widely used as to be in the public domain (…if that’s how it works). Creep is an average song—by RH’s own admission—and was pretty lazily slapped together. That anyone can make so much money out of so song that was likely written in 4 minutes is beyond me. The only thing that can combat crap like this from recurring is by somehow reinjecting originality into popular music. But if the formula works…. This is absurd. Lana will surely win. Someone should look up all the songs written before creep with that exact chord progression.